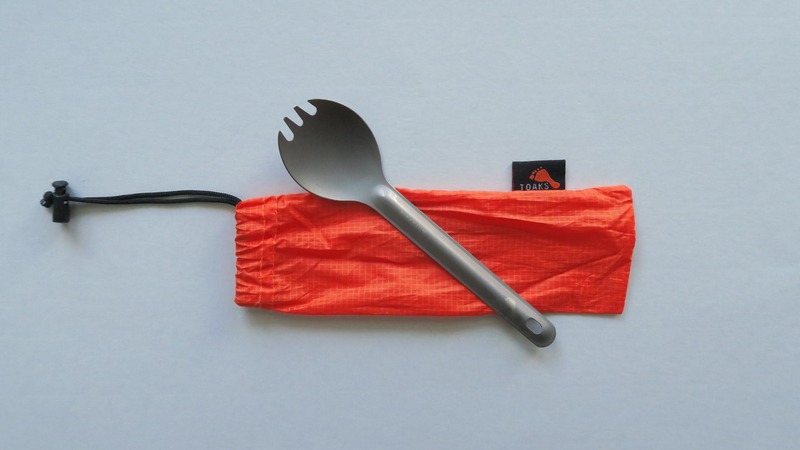 An ultralight spoon and fork combo that comes in handy more than we'd like to admit. 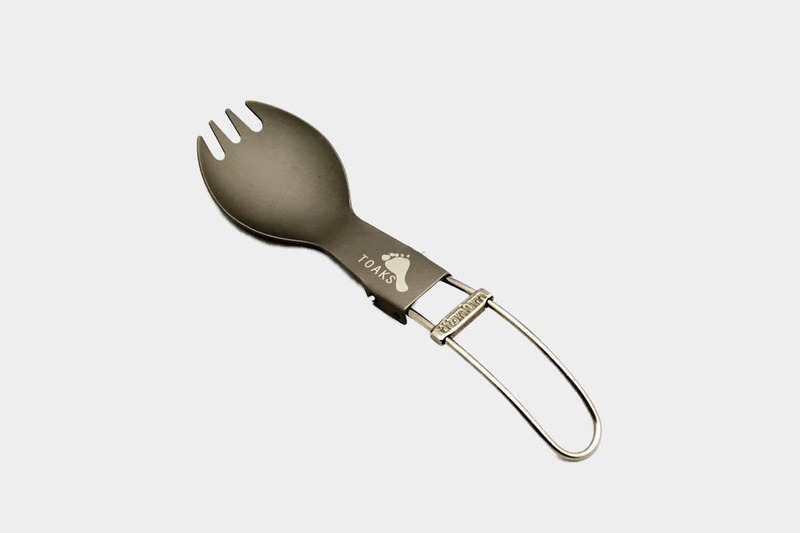 Did we mention the Toaks Titanium Spork is ultralight? It seems silly to travel with a spork at first, but it’ll come in handy a lot more than you’d imagine. Eating at the airport and forgot to pick up a plastic spoon and fork? Use this. At a restaurant that doesn’t look super clean and worried about the cleanliness of the silverware. Use the spork. Camping out? Spork time. Just remember to keep it clean between uses. You will also generate less waste by not throwing away disposable plastic cutlery every time you eat. And remember, you literally save 100 percent of the weight by not traveling with a spoon and a fork—this one combines them both. Every ounce counts. 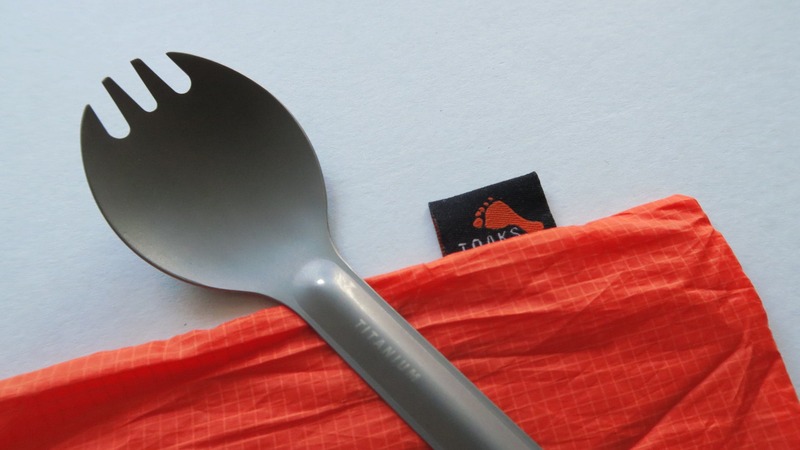 The Toaks Titanium Ultralight Spork lives up to its ultralight name. It weighs just 0.45 ounces (13 grams), which is basically nothing. It does lay flat, and is similarly sized to ordinary silverware, measuring 6.5 x 1.625 inches (16.5 x 4 centimeters). It’d be nice if this folded up and compressed even smaller like some other sporks on the market, but that would likely add to the weight. One downside to the Toaks Titanium Ultralight Spork is that you can taste a very slight hint of “metal” when using it. A polished finish may generate less of the metal taste, but also, may add weight to the item. There’s a tradeoff there, although this will likely be used when getting food inside of your body is more of a necessity than a gourmet dining experience. Save the proper silverware for the dining room. The mesh bag is a nice touch and will keep the spork separate from your other items, which comes in handy while trying to keep it clean and accessible. Although there may be some concern around TSA compliance, we’ve tested this on a number of flights around the world and haven’t run into any issue. You’re always at the mercy of an individual TSA agent’s judgment, but according to “the TSA rules”, this is compliant to carry-on and travel with. 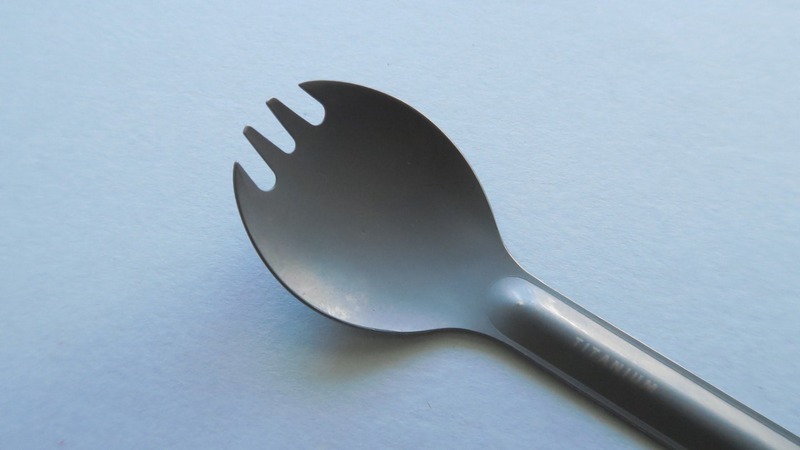 Behold, the mighty spork! All good out of the box. Mesh bag is a nice touch. Working like a champ between airport food and peanut butter (hunger) emergencies. Developing some scratches and dings. More scratches and dings, but doing the job well. It’s so thin but hasn’t lost shape or bent at all, which is surprising. Sturdy. Very light, and comes in more handy than you’d think. Comes with a nice mesh carrying case to keep separate in your pack, and keep clean. The titanium material makes it easy to clean. Can taste a bit like metal. A spork comes in more handy than you think it would, even for ordinary city travel. It’s there and handy when you need it, and easily disappears in your bag when not in use due to the low weight. Tom has lived out of a 40L backpack for 1.5 years of travel, helping him gain knowledge on what to pack and what to leave behind. 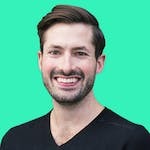 His top achievements include designing for Apple, eating large quantities of ramen (ongoing), and having his parents take him on 18 flights before he was 1 years old.